325 p., 15,0 x 22,7 cm. 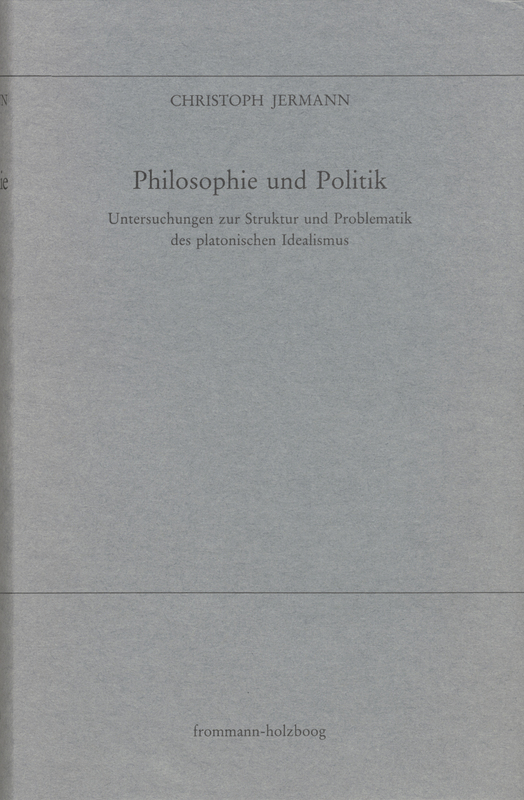 Jermann’s study is an analysis of Plato’s arguments urging philosophers to show political commitment. The author establishes an approach to an a priori justification for the postulate of an intersubjective philosophical practice in Plato’s philosophy. This idea however is not as essential as insufficient justification by the theory of principles. It is shown that even Plato’s systematic tendencies for distinguishing an absolute subjectivity do not provide a satisfactory way of putting theory into practice but that however due to this lack of a good reason a pivotal argument can be traced to Plato’s idealism which he used to criticize opposing philosophical positions.